So you’re a coach! Woot! You’ve known for some time now that this is what you’re meant to do. You have a calling to do something meaningful and make a difference in the lives of others, however you are either just starting out in your coaching business and want to know how you can attract more clients, or you currently have a coaching business, but are finding it difficult to find and attract clients to your business. Maybe you feel a little overwhelmed about how to craft your marketing message and confused about your overall brand positioning. If this is you… then this week’s podcast is definitely for you! This is an important topic due to obvious reasons. One that is universal, no matter what business you’re in! Because if you don’t have clients, you don’t make money. If you don’t make money, it’s extremely difficult to create the life that you want or go out there and make a difference. Which would be a shame, because the world needs you! 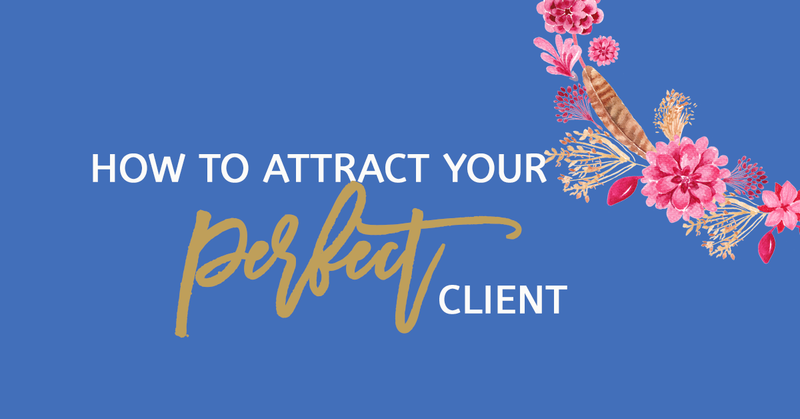 So what do you think is the first thing that you need to do to attract your perfect client? That’s right! Know who your perfect client is of course! Haha It’s pretty obvious isn’t it? So in this episode we will cover two vital things that you must know, in order to start attracting your perfect client and repelling the one’s who you don’t want to work with! Check it out here or you can access it on iTunes or Stitcher! And don’t forget to download the worksheet that goes with this podcast below! Before you get started, if you haven’t joined the Wild Woman Run Free FB Page and you’re an entrepreneur or soon to be entrepreneur who feels that they are destined to make a difference in the lives of others, then you’re exactly the type of person we want in our community! So hop on over to Facebook and join the community Wild Woman Run Free today . This year, on the top of my priority list will be to build this community of women who support each other throughout this Wild Woman journey, so please feel free to recommend this to all the women that you know who you think would be great fit! Maybe you know a few women who are life coaches, health coaches or business coaches. Or maybe you know a woman who is a yoga or health instructor, out there making a difference? Or you may know someone who is already a leader, someone strong and courageous, who could share their knowledge, experience and skills too? Or you have a girlfriend out there who could use a bit of inspiration and motivation. If so, get them to join the Wild Woman Run Free Revolution! I look forward to meeting you and seeing you on the other side! I am also opening up the doors to my coaching programs. They are particularly suited to women who are starting out in their coaching businesses who need some guidance in planning and launching their business. This could be life coaches, health coaches, business coaches and so on. So if this is you, send me an email. Also for coaches who currently have a business, but are looking to rebrand themselves, or need help to build their coaching business. If you’re interested, to be coached by me, reach out at joveline@wildwomanrunfree.com and let’s book in a free discovery session to see if we can work together. And if you’re interested in some free promotion, I am also opening up the doors for coaches to interview on the Wild Woman Run Free podcast. So send me an email and I’ll send you an application form for that also. There is so much happening this year for Wild Woman Run Free. So many exciting things coming up. I won’t ruin the surprise just yet though, so just stay tuned and subscribe to the podcast, join the community on facebook and I’ll update you soon! Until we meet again Wild Woman! Live Wild, Live Free, Wild Woman Run Free baby! See ya!